I am a daughter, a sister, a wife, a teacher and a mother. 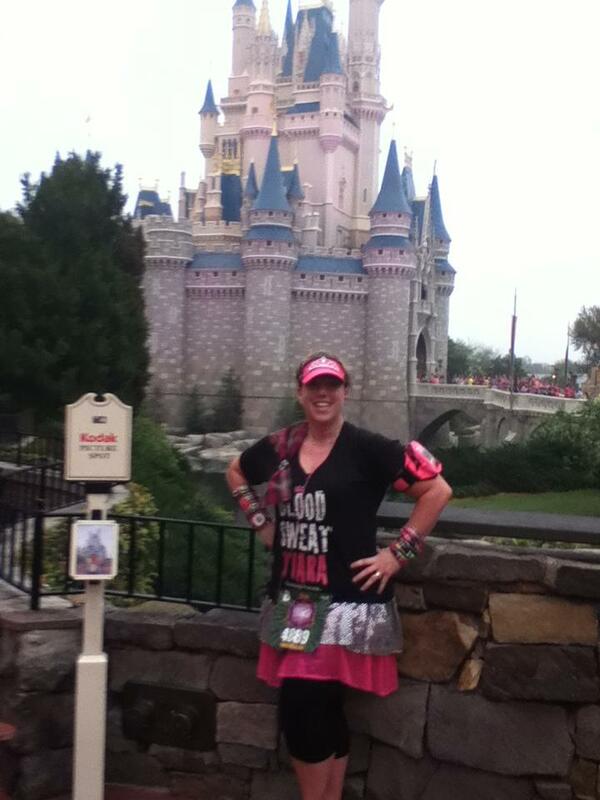 Now, I am so very proud that I can add the Disney Princess Half Marathon Tiara to that title. No matter what “hat” or “crown” I am wearing, I know it is my actions that speak louder than words. For me, that action is hitting the pavement consistently with my GV Gals or at night when dh literally kicks me out the door. There is nothing like running in a Disney race. In fact, I amazed myself when I ran my second half marathon in T.O. without the fireworks. I would love to run the TINK if my work and life schedule will allow it. This year, I look forward to some “girl getaways” and a family race weekend. Fastest Race: Sydenham Lakeside 10 km. Never in a MILLION YEARS did I think I could actually complete 10 km in under 1hr 20 min. – I DID IT! OH, WHAT A FEELING! Must Have Running Accessory: NOT MY RUNNING BELT!!!! But, my new pink hand held. Also, I recently realized the importance of good shoes: Love you Ascics GEL-Nimbus® 14 ! Favourite Indulgence: Glass of Wine and cheese plate. Favourite Disney Princess: Merida: Her bravery, independence and self awareness is refreshing to see in a Disney Princess. As well, I teach Highland Dancing and absolutely love anything Celtic or PLAID!